ToysRUs Canada now has most of the New 2010 LEGO Sets Available Instores. NEW 2010 LEGO themes includes LEGO Atlantis, LEGO Power Miners, LEGO Space Police and more ! However, 2010 Star Wars & Toy Story may not be available at this time. Check your local store for details or click here to order online. 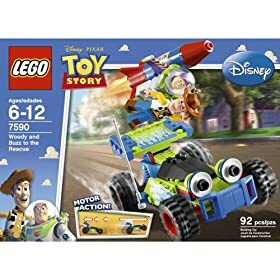 The LEGO Toy Story Mini Website is now up at LEGO.com. Theres not much in there yet, but the time is almost here for them to be officially released ! Thanks to Tomatoes for the tip. In the meantime, heres an update on the prices of the LEGO Toy Story sets in USD. Prices are pretty much confirmed except the ones with the price quotes. Brickshelf user Lumix has posted tons of pictures on the upcoming 2010 LEGO Star Wars 8087 Tie Defender. He also has pictures comparing the Tie Defender with Darth Vader’s Tie Fighter. The 8087 Tie Defender will be retailed at $49.99 USD. In addition, Kiwomens on Youtube has posted a video review on the playability of this set as well. [Site News] Toys N Bricks NOW on Twitter ! Toys N Bricks is now officially on Twitter ! 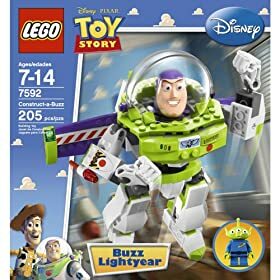 Become a follower of Toys N Bricks today and you’ll be updated with the latest LEGO news everyday. Its simple, fast and easy. Need help? Contact us ! [POLL] Should Toys N Bricks continue to update/keep the LEGO set index? This week’s question is on our LEGO Set Indexes. Do you find our LEGO Star Wars & Indiana Jones set indexes useful? In other words, should Toys N Bricks continue to update/keep the set index? Vote Now ! Toys N Bricks – North America’s #1 Destination for the latest LEGO News.